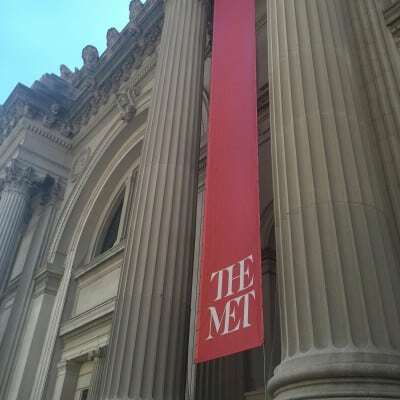 If I hadn’t specifically created Day 14’s challenge, then today’s adventure to the Met would never have happened. I pushed us all out of the house mid-afternoon simply because of the existence of this challenge. I needed to stay home during the morning so we got a late start. My kids weren’t exactly itching to go anywhere and they moved accordingly. It shouldn’t surprise you that we arrived at the train station, only to see the train pull away from the platform. But I need to introduce kids to culture, I thought.